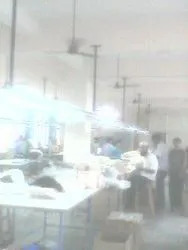 Manufacturing & Trading of Leather Bag And Handbag. 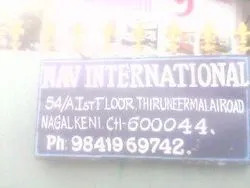 Nav International is the sole proprietorship based company that was incorporated in 2009 at Chennai in Tamil Nadu, India. Our company has evolved with a goal to set up a best leather industry in India. We are manufacturing and supplying an exclusive range of Leather Bag, Leather Handbag, Leather Accessories, Leather Briefcase and Finished Leather. Our products are highly acknowledged in the market for their splendid finishing, beautiful designs, stylish look, perfect stitching, defect free nature, high reliability, availability in many colors and sizes and high grade leather. All these products are designed and manufactured by our skilled professionals by using their wide industrial experience and talent. Also, they show their passion towards developing these products with innovation with more stylish and comfortable way. They work together to provide the best product in the industry with different leather, pattern, stitching and designing. Also, high grade leather, creative ideas of designers and latest technology are used in the development of these leather products. We exports approx 20-40% of our total production in Indian Subcontinents and Gulf Countries. On the other hand, Nav International has become the first choice of the customers and leading company of the industry. This is the result of perfect leadership of our respected proprietor Mr. Navjyat Singh. He runs our company in most effective manner that helps us to meet various demands and requirements of the customers by providing them high quality leather products. Moreover, we are conscious to protect the environment thus we adopt eco-friendly production processes as well as remove inorganic material during the development of these products. Beside this, we believe that customers are the enormous impetus for the success and growth of the company. That’s why we work with the commitment to preserving and earning trust of our valuable customers. We have built up a huge and reliable customer base within a very short time span and this is possible due to our client centric approach. We know that an individual’s effort is less effective than the efforts of team. That’s why all the employees of our company work together as a team and we also focus on encouraging them to work together with complete dedication. Our team of competent and skilled workforce is the prime factor of our immense growth and success. They working in coordination and strictly follow well set sourcing and marketing policies that are created by our management. It will help us to touch the great height of success in our business domain. Our company has been providing a unique collection of leather products since the time of our emergence and this is possible due to the help of our state-of-art infrastructural unit. We segregate it into various sections that assist us to carry forward a smooth production and post-production process in efficient way. For a better implementation of diverse tasks, we equipped these departments with ultra modern machines and advance technology. Presenting to you the state-of-the art Tannery based on International standards. The Tannery unit which is based in Ranipet – The Leather Capital of South India, has been built keeping in mind the need to produce quality leather and with maximum efficiency. We at Nav International believe in providing a full line support to the customer by making available a one stop buying destination for them. 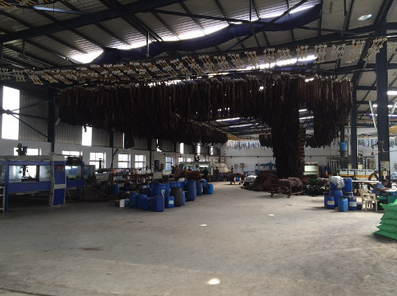 This tannery has been created as a result of a long enduring journey in the leather field and the outcome of which is technologically advanced and sound set-up. Being a quality conscious company, we have been controlling the quality of our products by following the quality policies of our company. Also, high grade leather is used in the development of these products that we procure from our certified and authentic vendors. We follow well defined quality norms and principles throughout the process starting from the sourcing of material till the final packaging. The Outlook of Nav International is to provide the best service to the customer in both Quality and Quantity terms exclusively for the products we manufacture. We are looking forward on exporting our goods globally to other countries where we wish to set a trade mark in terms of business. Nav International evolved from a small cocoon and it has made its significant mark in finished leather globally. We work in a team to provide innovative design goods with the best leather in the market. We provide premium furnished leather goods with best Quality and Quantity. Our Driving force is to provide the best service for our customers. Our Supply follows the standards in terms of Quality set across all standard perimeters. We are bound to maintain relation with our customers for further services. We provide services round the clock for the products we supply in the market. We are fascinated by the designs we provide to our customers with the best leather services. We Maintain a Quick and a Schedule Delivery to our customers. We focus on the Time, Schedule delivery and the Quality management in our goods and services.